Do you have trouble with dry or cracked lips? It’s a complaint that we have heard often at dermHA, a skin care problem that affects everyone at one time or another. It’s important to know that lip skin is very different from other skin because it is very thin. Moisture rapidly evaporates from the lips causing them to dry out very easily. Unfortunately, as we age, the elasticity in the lips break down, causing a loss in fullness and less definition in the lines that surround the lips. The good news is that keeping lips moisturized and hydrated helps lip skin to naturally exfoliate and feel and look soft and smooth. 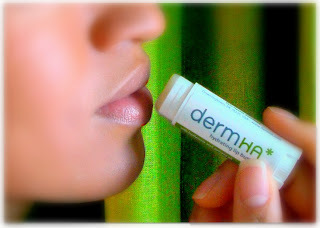 To help you keep your lips beautiful and soft, dermHA has created the dermHA hydrating lip butter. Our hydrating lip butter is the ultimate lip treatment packed with nourishing, protecting and hydrating ingredients that will help soothe dry, chapped lips leaving them looking and feeling softer and smoother. Smooth and creamy shea and cupuaca butters help to protect the sin against the damaging effects of the sun, while ultra hydrating hyaluronic acid and aloe helps restore moisture. The antioxidant, vitamin and essential fatty acid rich oils of coconut, tamunu, grapeseed, and avacado helps to nourish and soften dry and scaly skin. Don’t miss out on this treat for your lips, a great addition to your skin care regimen! i love love love the lip balm it works great and makes my lips smooth.